From classic styles to beautiful colours, you can choose from a big range of marble wallpaper; but which one is for you? 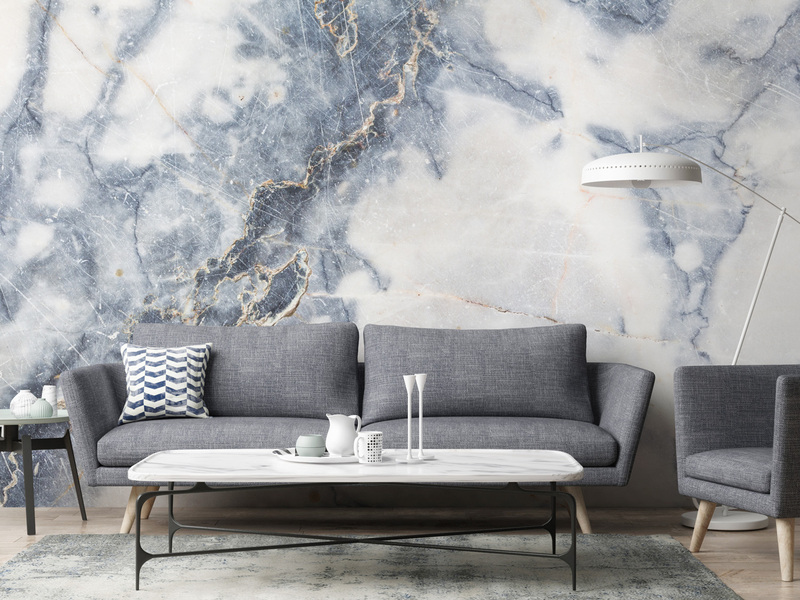 Below we take a look at how to use marble wallpaper to infuse your home with the huge trend. 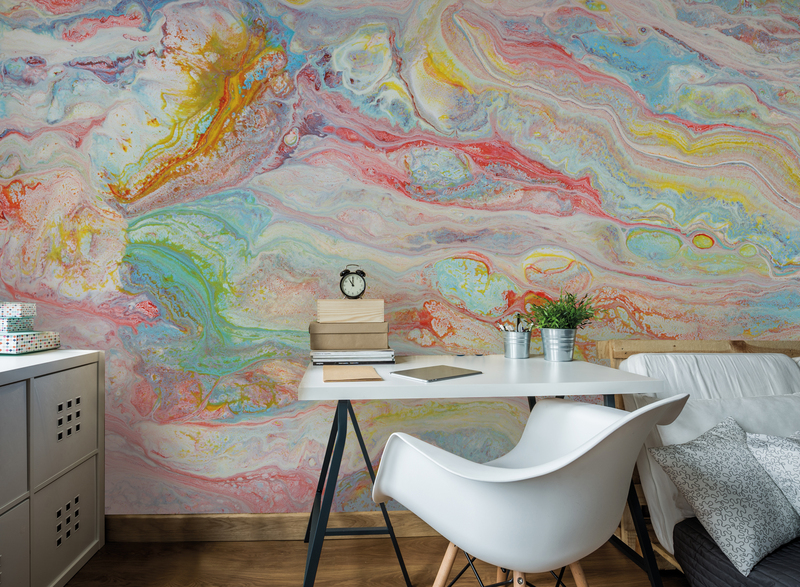 This marble wallpaper is one of our best-selling in the range. It has an elegant and classic style, whilst the gold tones add a subtle sense of luxury. Use with plain patterns, neutral colours and simplistic furniture to create a stylish living room that doesn't look like it tried too hard. 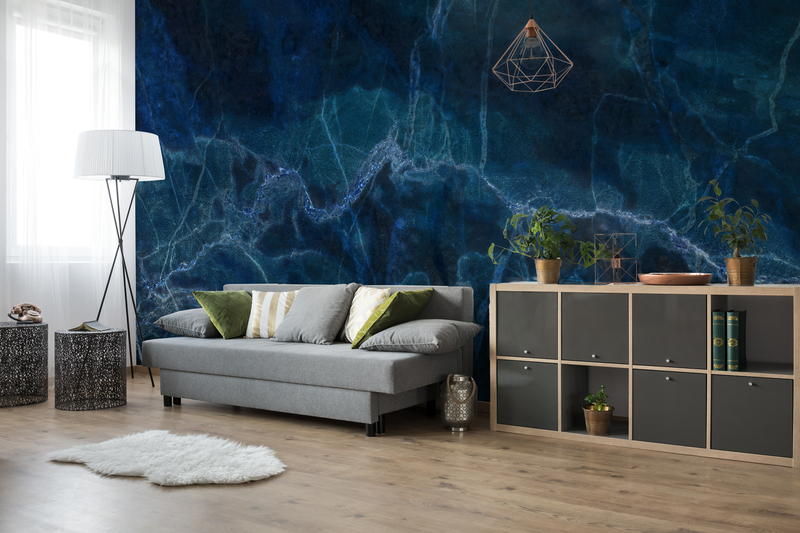 How relaxing is this 'ink in water' style marble pattern? 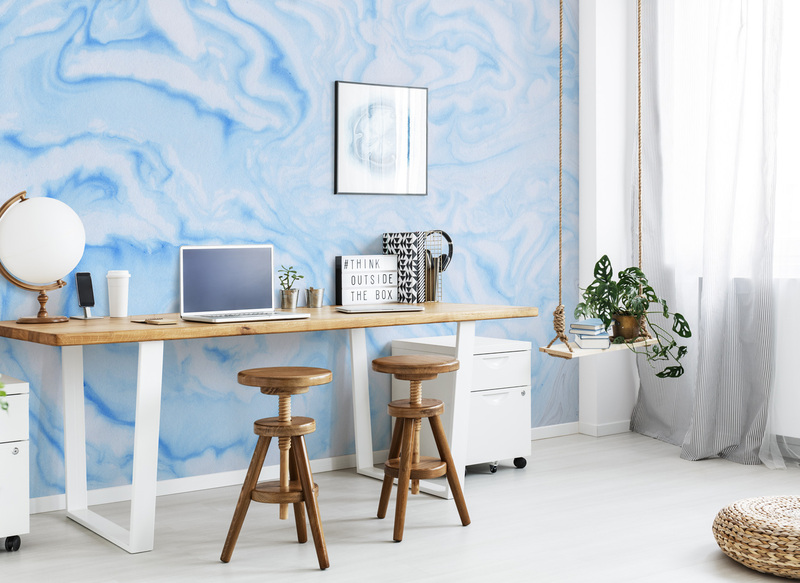 The dreamy blue tones used to create an airy and thought-provoking pattern are perfect for a home office, study or any creative space. The colour blue also evokes feelings of calm and trust. 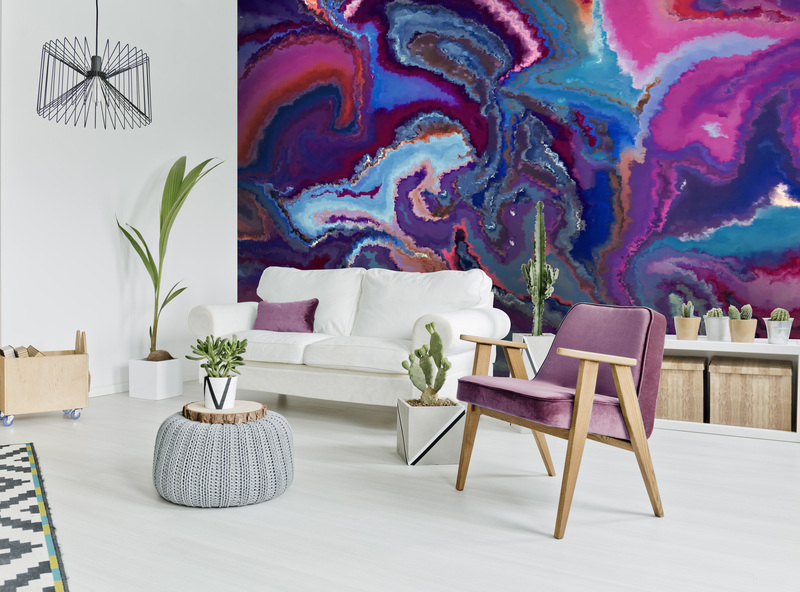 Add a sophisticated look to the marble trend by using subtle colours that ensue luxury The colours used in this mural will match well with most decor. 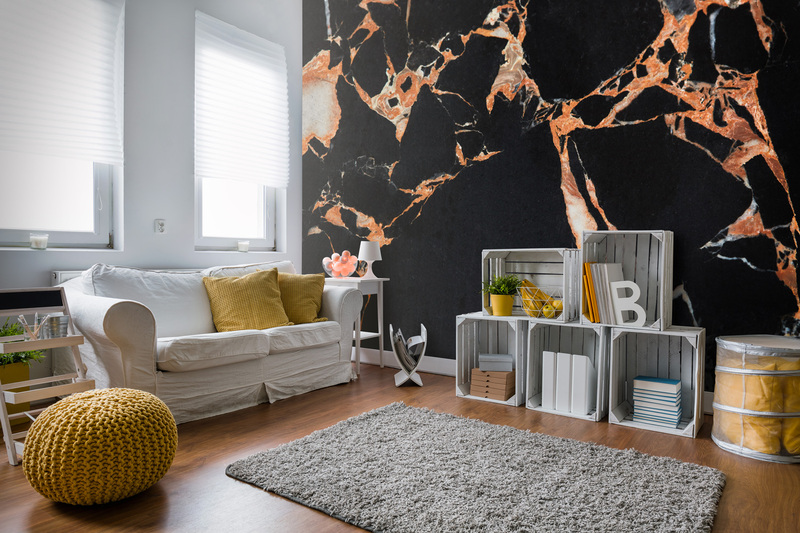 Marble is a great decor option for a young teen who has outgrown their current decor. It is on trend and sophisticated without being too adult. Quartz patterns are also huge this season, and this quartz inspired marble pattern is an elegant way to embrace it. The complementing colours make the use of brights subtle and easily wearable in any home. Are you looking for something dark and sophisticated? These tempting blue tones will infuse your living room, dining room or bedroom with a sophisticated vibe. Use with materials such as velvet and golds/silvers/copper colours.